CruiseJobFinder interviewed a recruiter for The PPI Group, which is a concession in the cruise line industry. They offer services ranging from custom publishing to port shopping programs to video production. PPI only hires for one position, the Shopping Presenter onboard. 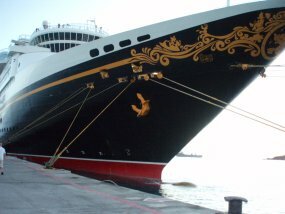 The company fills positions on many cruise lines, including: Carnival Cruise Line, Norwegian Cruise Line, Disney Cruise Line, Holland America Line, Thomson, Costa, Cunard, and Silver Seas. Learn more about working for the PPI Group in Part II of the interview. They provide the travel and tourism industry with a highly specialized, professional team of experts who have intimate knowledge of this worldwide, multibillion-dollar industry. The PPI Group's main goal is to serve as the connection between consumer, product, and retail sales services. Custom publishing includes extensive commemorative in-cabin books for large cruise lines and high-end magazines for luxury small ship cruise lines and resorts. Our in-house editorial and graphics departments can create customized publications to fit any need, no matter how large or small. In addition, the company's flagship magazine, Porthole Cruise Magazine, reaches cruisers worldwide via newsstands and by subscription. The PPI Group's revenue programs include highly trained Port & Shopping Presenters who provide cruise guests with port information, shopping recommendations, and shore excursion opportunities. We can also customize other promotional programs to enhance your brand and increase revenue. Our in-house broadcast operations department can produce a custom video for any company or service. With our state-of-the-art video equipment and professional staff, we have the capabilities to create a unique and informative video to fit any need. The PPI Group, with offices in the United States and Europe, has evolved over the years and is now a one-stop connection to the cruising, travel, and tourism industries. For which cruise lines does your company recruit and provide staff? We only staff cruise lines with the Shopping Presenter position (sometimes called Shopping Guide, Port Shopping Ambassador). The lines with this position include Carnival Cruise Line, Norwegian Cruise Line, Disney Cruise Line, Holland America Line, Thomson, Costa, Cunard, and Silver Seas. What types of jobs do you recruit for? We recruit for the Shopping Presenter onboard position. It's a sales position based on public speaking. Are some types of jobs more difficult to fill than others? When candidates apply as couples they are sometimes hard to place, and singles are easier to get assigned to ships. A couples assignment is harder to achieve because it's more difficult to get double cabins approved by cruise lines. Do you only work with candidates who are of a certain nationality or living in certain geographic areas? NO. We hire candidates from all over the world. The main requirements are that they speak, write and understand 100% English and are able to obtain a C1/D visa if they are not US or Canadian citizens. All candidates undergo same evaluation process, and only those with the skills, background and characteristics we are looking for will be hired. Do you charge a fee to your clients? We are not an agency, so we don't offer anything extra. We evaluate and those who possess the skills necessary get hired. Describe your perfect candidate. How can someone best make a great first impression with you and your agency? What advice can you offer about resumes / CVs? For the position we hire for, the candidate's CV must include all sales, marketing-related positions and also any public speaking. Job seekers should give a brief description of what they did at those positions and if they had targets or quotas, they should state whether or not they were successful and if the targets were exceeded. Are there any common traits people should have? In the position we hire for (Shopping Presenter), a strong candidate will be someone with a very outgoing personality, hungry for the money, not afraid of challenges, sales driven/oriented, someone who possesses excellent public speaking skills, is able to build relationships with the guests, is persuasive without coming across as pushy, and is credible. What are the best pieces of advice you would give someone who's starting to look for their first job on a cruise ship? Get your feet wet first. Sail on a cruise as a passenger first, see how it is, and observe the life of those who work in the cruise ship. Evaluate your life first, make sure your priorities are in place and make sure you are able to take off for six months or more. Investigate and research the positions you are interested in and decide which one is your perfect fit. Our standard contract is 6 months. Compensation: Low base + commission. Commission is completely related to how much effort and work you put in it. The sky is the limit! !